Surgeons operate the da Vinci system at a computer console close to you where he controls the machine’s robotic arms. Surgeons find the optimal position for the procedure using the da Vinci® Xi's™ sophisticated targeting system. 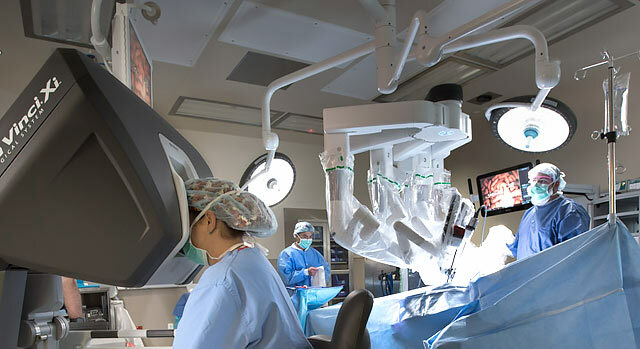 Once the surgeon locates the best area, the da Vinci system will configure itself to allow the surgeon a greater range of motion. 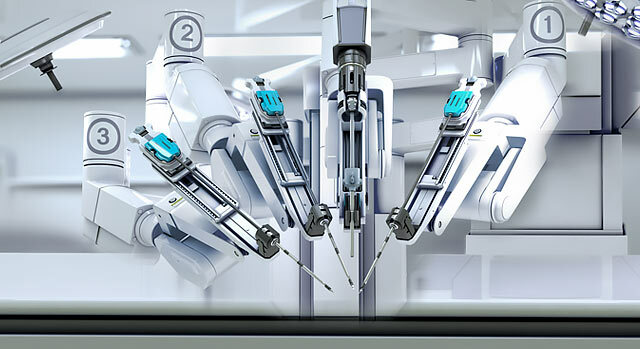 With pinpoint accuracy, the surgeon then uses the robotic arms to make a series of three small incisions, or ports, in the surgical area. The arms are then inserted into the body. If you need a referral to a surgeon or other physician at Desert Springs Hospital Medical Center, call our free physician referral service at 1-702-388-4888.